After a long break from the annual Taylor Wessing Photographic Portrait Award, I entered again this year with these images below. It was an interesting exercise to settle on only a few portraits from last year and to declare - these are the ones I like the best right now. Apart from that I also printed them at Photofusion with Richard, and that was a joy in itself. 1. 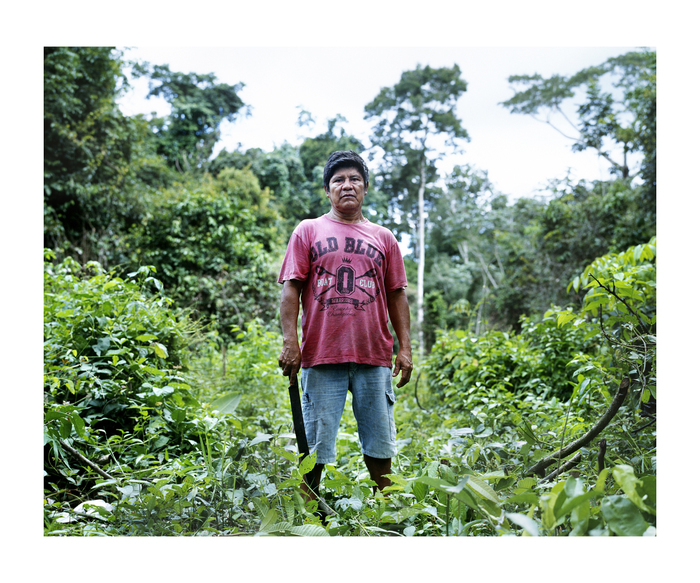 Juarez, chief of the Munduruku tribe settled in Sawre Muybu, stands in the middle of the 4 meter wide demarcation line, him and his men have cut into the Amazonian forest to mark out their land. They are fighting against the creation of a hydroelectricity dam by the Brazilian Government that would flood much of their territory. From "Of Flying Rivers and Flooded Lands"
2.Woman from the Munduruku tribe washes dishes in the Tapajós river in Sawre Muybu, their ancestral "holy land". From "Of Flying Rivers and Flooded Lands"
3. Munduruku mother is bathing with her new born baby in the Tapajós river, Sawre Muybu, Brazil. From "Of Flying Rivers and Flooded Lands"
4. Donna Maria Bibiana da Silva is with 107 year, the oldest woman in Pimental, a village that would be flooded completely if the plans for the Sao Luiz do Tapajós dam were to go ahead. From "Of Flying Rivers and Flooded Lands"
5.Portrait of Ciara and her 9 month old son, South London 2016.